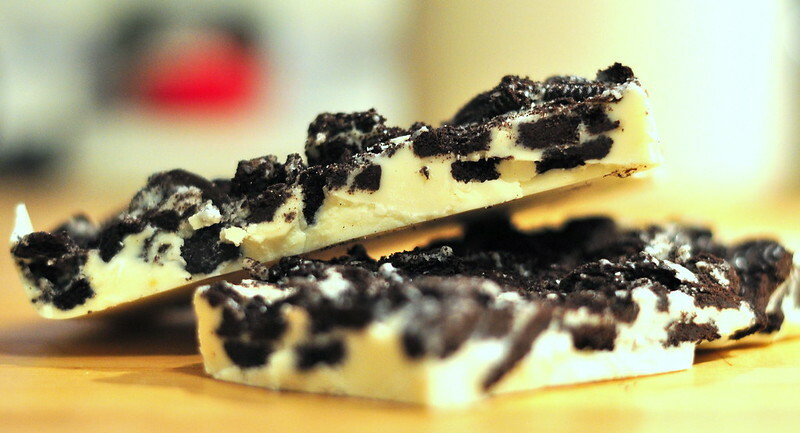 oreo cookie and white chocolate bark! i didn’t get around to posting any of the holiday treats and crafts we got up to this season. but, i have a few easy things i want to share, that aren’t necessarily x-mas related. i will start with this highly addictive (you’ve now been warned) bark. i’ve never made bark before and i was looking on pinterest and came across THIS super easy, super delish recipe at bakers royale. 1. line your pan with parchment or wax paper, leaving lots of overhang for easy removal at the end. 2. place chocolate in a double boiler over low heat and stir continuously, until chocolate is completely melted. i chopped and shaved the chocolate first, to help speed the melting process. then, transfer the chocolate to a heat proof bowl and cool for 5 minutes. 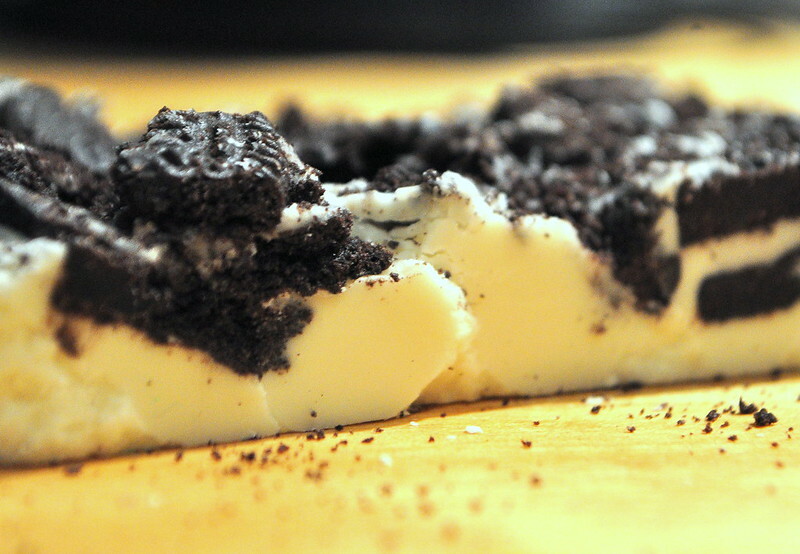 3. add chopped oreos and stir to combine. Pour mixture into pan. 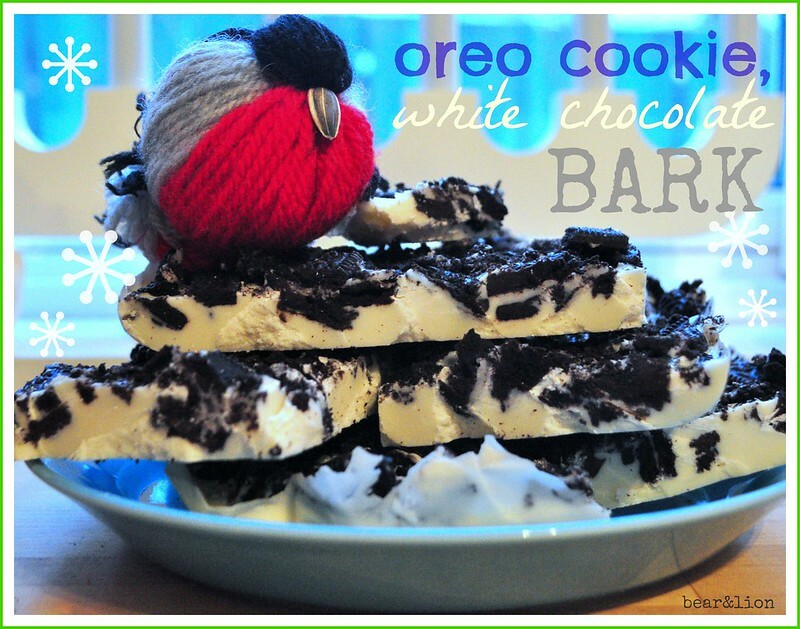 use a spatula to smooth out top. 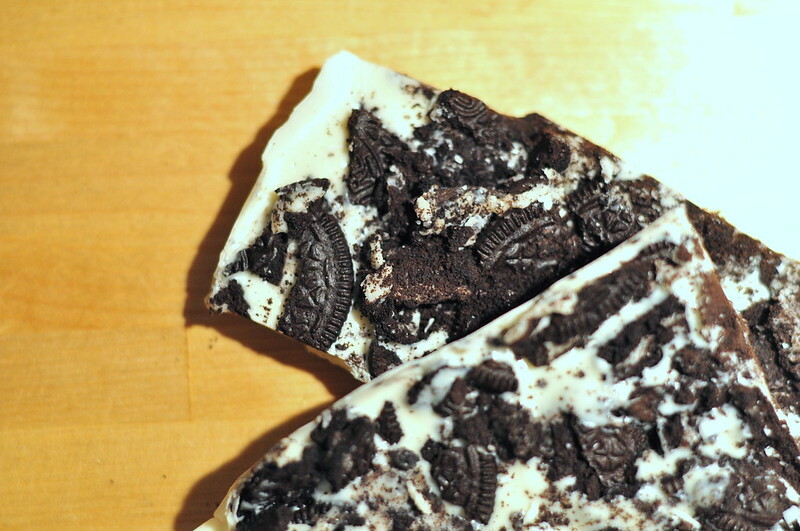 sprinkle more oreos on top if desired. 4. let the bark solidify in the fridge for at least 30 minutes. remove from pan, cut up and ENJOY! i’m salivating just looking at these pics. holy mama, this was easy and yummy!